At only 4 inches of depth above the ceiling required, the Aculux 3-inch Low Profile Adjustable is perfect for installation where space is constrained. With output ranging from 800 to an industry-leading 2,000 delivered lumens, this exceptional line of luminaires is perfectly suited to upscale residential, commercial, and retail interiors. State-of-the-art LED technology provides superb color consistency with energy-saving efficacies of up to 75 lm/W. Color temperatures of 2700K, 3000K, 3500K, and 4000K offer excellent color rendering with 80 CRI minimum and CCT's of 2700K and 3000K are also available with 90 CRI minimum. Round and square apertures provide exceptional beam control and feature four field-interchangeable optics coupled with engineered diffusing films provide beams of 12°, 20º, 24°, 30º, 35°, 40º, 45º, 50°, 60º or 20º x 60º. 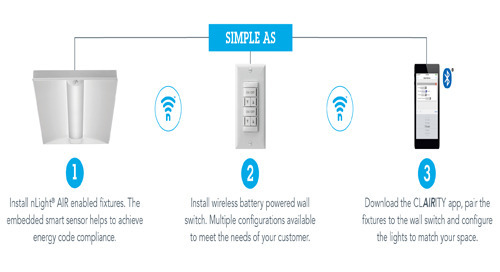 Six driver options accommodate a variety of dimming systems and voltages from 120-277VAC. 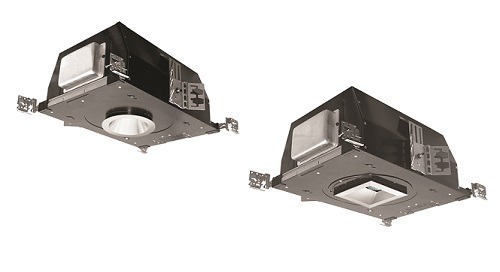 The 3-inch low profile universal housing is compatible with Aculux 3-inch adjustable, downlight and wall wash trims. Aculux 3-inch Low Profile Adjustable LED luminaires offer the full range of precision adjustments that the Aculux brand is known for. Acu-Aim precision geared aiming provides hot-aiming of up to 365-degrees plus rotation and 45-degrees tilt. Optimized center beam optics maximize light output when LED optic is aimed off nadir and eliminates glare at any aiming angle. Spot On! Industry leading beam control offers clean, striation-free beams, ranging from 12-degree to 60-degree FWHM, with an industry leading 22,000 CBCP. Patented Tru-Line platform provides +/- 1/2-inch aperture translation and 90-degree aperture rotation to facilitate perfect fixture-to-fixture alignment.